If you were caught off-guard by the time and energy it takes to look after your new baby, you’re not alone—the first few weeks can be hard. It’s important to take care of your emotional well-being in the postpartum period. Even if it’s only 15 minutes, set aside some time where your needs come first. Do something restorative—take a bath, read a book, do some stretches or meditation—even a short break can fortify you and increase your coping ability. Caring for a baby is a marathon, not a sprint; keep yourself in condition for a long-term effort. You will feel exhausted, frustrated, angry and irritable at times, and this is normal. There are no perfect babies or mothers—don’t believe anyone who says so, and try not to compare yourself to others. You and your baby are unique, and you are on a learning journey together—take it one step at a time. It can be a challenge to get out of the house with a new baby, and you may find yourself feeling isolated and lonely. There are many parent groups available to help. Check with your local community centre, public health unit, neighbourhood house, or ask your family doctor to help find one near you. Whether you just need to talk or you need help with baby care or housekeeping, remember that you are not alone. Even small victories like bathing the baby are worth celebrating! Expressing gratitude for the things that are going well, especially out loud to another person, can help you overcome disappointments and challenges more easily. You may experience many different emotions after giving birth. But if you experience any of the following signs, talk to your healthcare provider. You may have postpartum depression or anxiety. One of the most important things you can do for yourself and your baby is taking care of your mental and emotional health. If you have any concerns about how you are feeling after you have had a baby, talk to your family doctor. 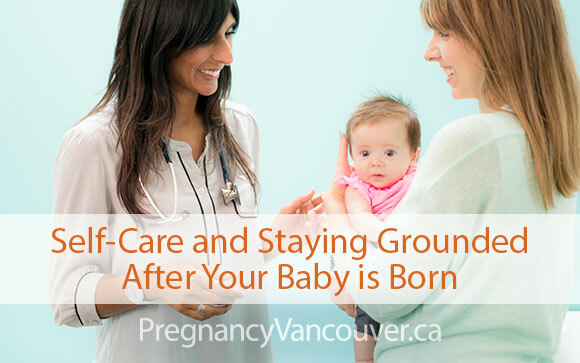 If you don’t have a family doctor for pregnancy, post-partum and/or newborn care, you can find one in the directory at pregnancyvancouver.ca.